Turn your thermostat down. Reducing your room temperature by 1°C could cut your heating bills by up to 10 percent and typically saves around £55 per year. If you have a programmer, set your heating and hot water to come on only when required rather than all the time. Is your water too hot? Your cylinder thermostat should be set at 60°C/140°F. Older type boilers waste energy; consider replacing yours with a modern condensing boiler, which converts more than 88% of fuel into heat. This could save you 30%, or around £150-£180 on your average annual heating bill. Install a timer on your heating system – it is far more cost efficient to have your boiler coming on and off when required rather than having it continuously running. Have thermostatic radiator valves fitted to all your radiators to control individual room temperatures or switch heat off completely in certain parts of your house. Make sure all your heating system pipes are properly lagged and insulated so energy is not wasted through heat loss. Make sure your hot water cylinder has an insulation jacket. 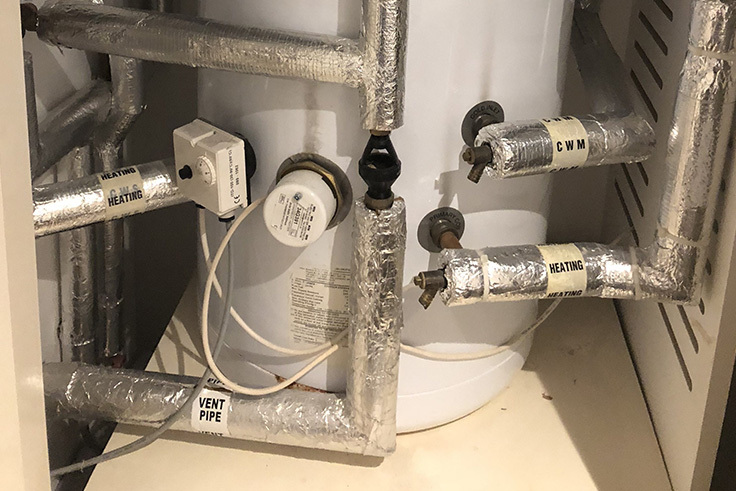 Make sure a timer is fitted to your immersion heater hot water tank to avoid wasting money by keeping water hot all day. Make sure your immersion heater has a thermal safety cut out fitted. 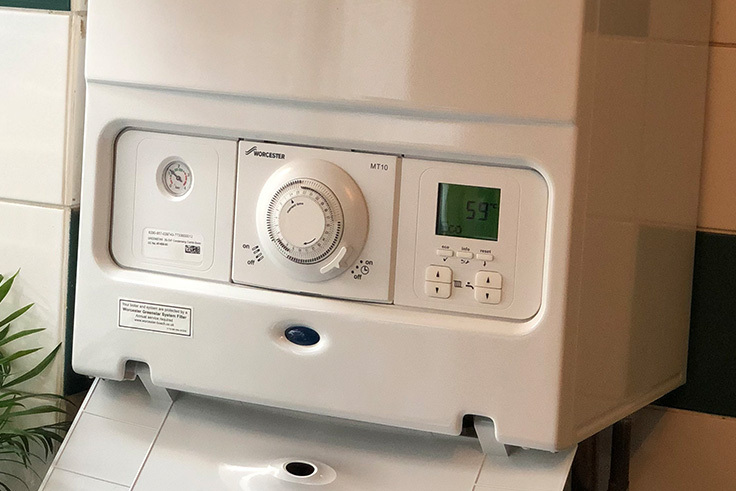 Regular boiler servicing is vital for safety, but significantly a well maintained heating system will be more energy efficient and cost less to run. Reduce your showering time – every minute you cut from your shower time saves up to nine litres of water. Install a thermostatically controlled shower valve which will save water by delivering the required temperature instantly. Check your dripping taps; changing tap washers can significantly cut your water bill by hundreds of litres a year, and in the case of hot taps save energy too. Update your toilet cistern to a duel flush system – ten half flushes saves enough water for a five minute shower. Have your water meter checked to make sure you are only paying for the water you are using. Check your property for overflowing toilets and water tanks. Have your home plumbing checked for leaking pipes – you may be paying for thousands of litres of water that is soaking away into the ground. Next time you buy any appliance that uses water, make sure you check the water efficiency rating – a washing machine rated AAA or higher can save 50 litres per load, and can also be used at a lower temperature to save on energy bills. For more energy effficiency tips for South West London call 0207 738 9296 / 07833 085 845. 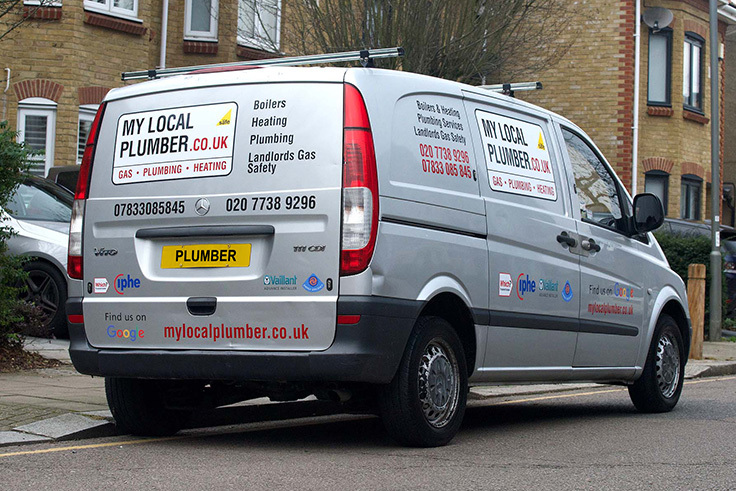 My Local Plumber – Mark Langley offers a reliable service with fair prices, experience and a high standard of work. "Installed our boiler and unvented cylinder. Made the entire process very comfortable for us". Covering wandsworth, battersea, clapham, balham, tooting, brixton, streatham, lambeth, chelsea, fulham, hammersmith, kensington, westminster, vauxhall, pimlico, earlsfield & wimbledon. © 2019 My Local Plumber.